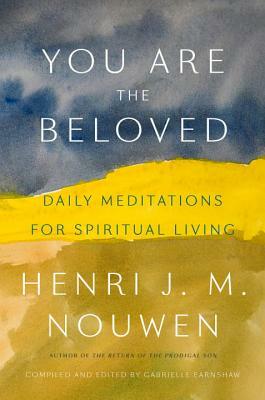 Nouwen devoted much of his later ministry to emphasizing the singular concept of our identity as the Beloved of God. In an interview, he said that he believed the central moment in Jesus's public ministry to be his baptism in the Jordan, when Jesus heard the affirmation, "You are my beloved son on whom my favor rests." "That is the core experience of Jesus," Nouwen writes. "He is reminded in a deep, deep way of who he is. . . . I think his whole life is continually claiming that identity in the midst of everything." You Are Beloved is a daily devotional intended to empower readers to claim this truth in their own lives. Featuring the best of Nouwen's writing from previously published works, this devotional will propel the canon forward as it draws on this rich literature in new and compelling ways. It will appeal to readers already familiar with Nouwen's work as well as new readers looking for a devotional to guide them into a deeper awareness of their identity in Jesus.